Wood seat is our standard but most popular selection is ordering the seat with leather upholstery. 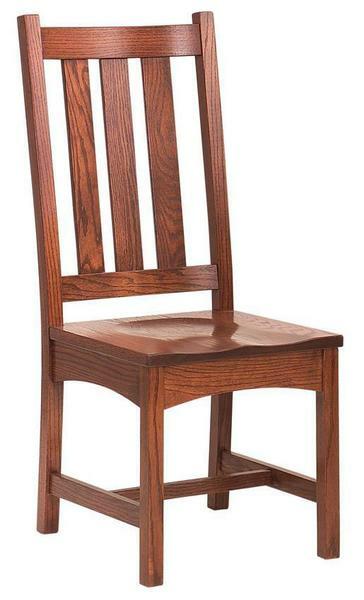 This Amish chair is handcrafted for each customer, which allows us to offer so many customization options. Steam bent chair parts are using in the construction of our dining room chairs. GORGEOUS!!!! We love these chairs and have had nothing but compliments on them. They're so well made we expect them to be the last chairs we every buy.